Jämshögs Hembygdsmuseum is located in a charming historical schoolhouse on the outskirts of Jämshög, around 5 kilometers south of Olofström. 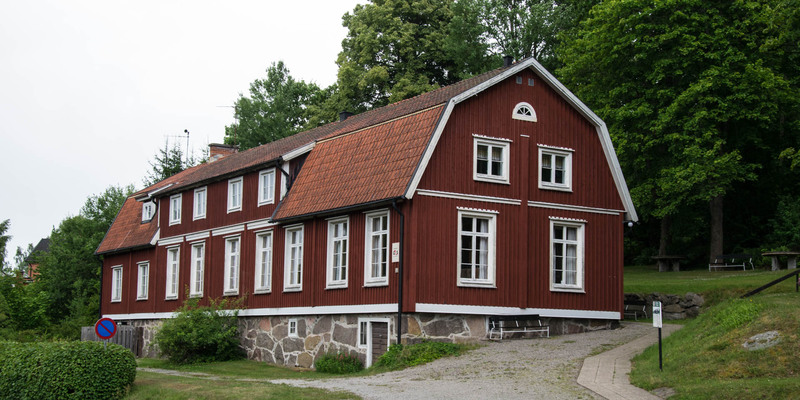 On the ground floor of the school, which was operated from 1871 to 1952, is today the school museum of the Olofströms Kommun. There are historically furnished classrooms and old teaching materials. A hall on the first floor of Jämshögs Hembygdsmuseum is dedicated to the local history of Jämshög. 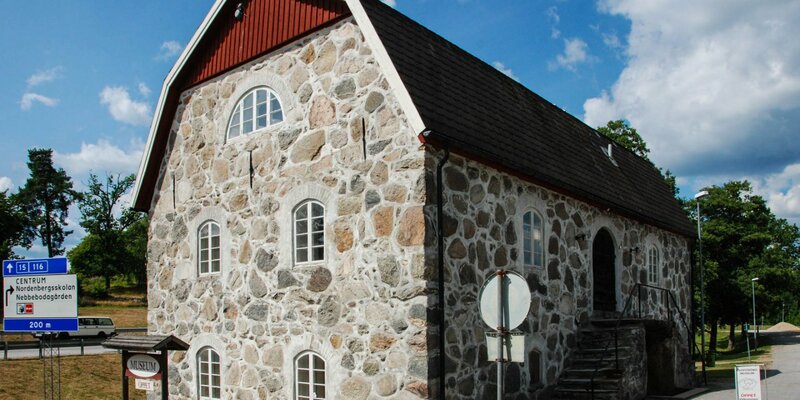 The remaining part of the building is the Författarmuseum (writers museum) which is dedicated to the two former students and later writers Harry Martinson and Sven Edvin Salje. Harry Martinson (1904 – 1978), wrote Swedish literary history. He has received numerous Swedish literary awards, was elected to the Swedish Acadamy in 1949 and awarded the Nobel Prize in Literature in 1974. 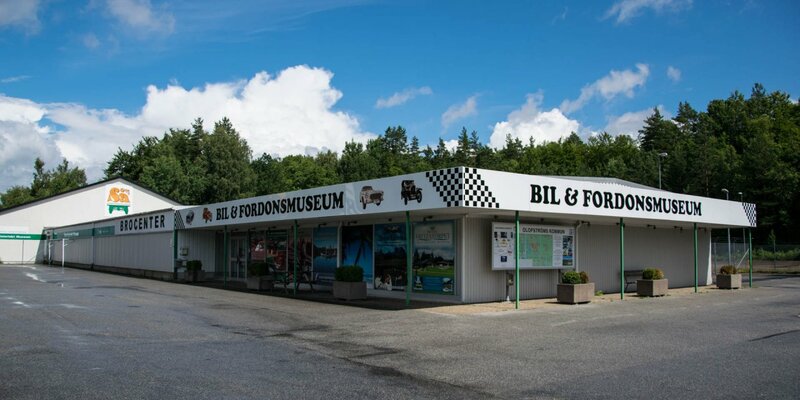 The exhibition about Harry Martinson also includes a colonial goods shop, which he built for his two daughters and equipped with his collection of bottles and cans from around the world. His collection of some 30,000 match, brewing and industrial labels located here as well as many souvenirs from his time as a sailor. Sven Edvin Salje (1914 – 1998) - his success as a writer began in 1942 when he won first prize in a novel competition for his work På dessa skuldror. His debut novel and three other novels whose actions are all located around the courtyard Loväng, were filmed with great success. The exhibition about Salje shows the original study of the writer, where he wrote his first novels. 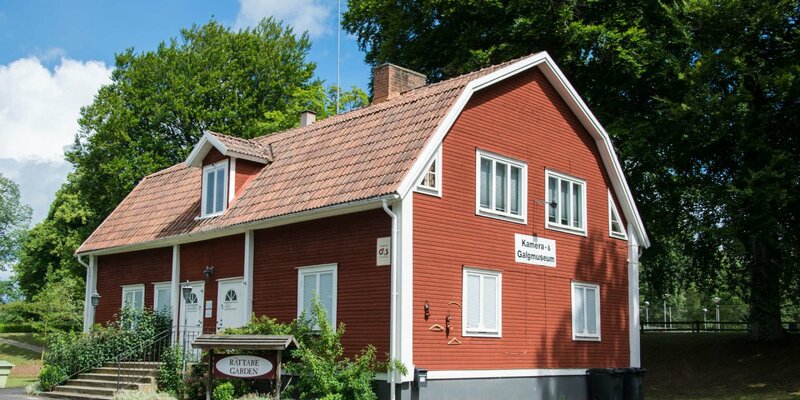 Next to the old school house is an old cottage that had been set up during his lifetime as a small private museum and once stood in the garden of his property in Hallaberget. Unfortunately, the museum has no fixed opening times. Visits are possible all year round but need a registration by phone in advance. Short term opening times will be announced by a notice on the building. The museum has a stair lift and is accessible for wheelchairs.